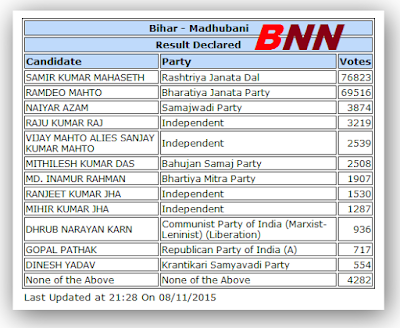 Madhubani constituency is in the Madhubani district of Bihar. 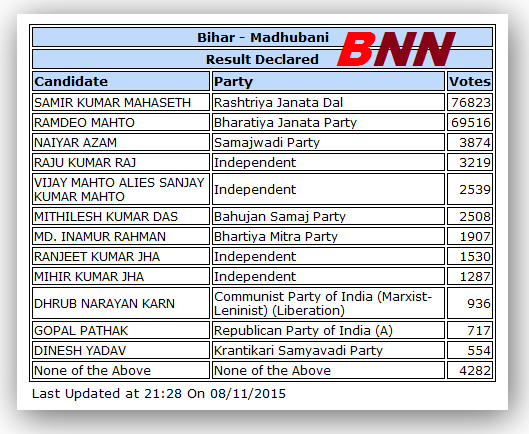 We take a look at Madhubani Map and also the Madhubani Assembly election results from 1977 to till date. Interestingly, Laloo's RJD has never won from this place. Even in RJD's peak times in 1990s, it chose a JD candidate. It has gone with BJP in last four elections.